I always take these responses seriously and they guide my direction in a lot of ways. In the past, the answers to these questions have led me to redesign the site, add a special VIP page, create a Facebook group, hire a podcast editing service and a podcast coach, do public side hustle coaching, get rid of my voice over guy, focus on certain side hustles more than others, and lots more. According to a 2017 Bankrate study, 44 million Americans have a side hustle. The median income for millennials with a side hustle was $200 a month. Meanwhile, The Hustle found that the average side-hustler spends 11 hours per week on their secondary work, and earns $12,609 per year — an average of about $25 per hour. 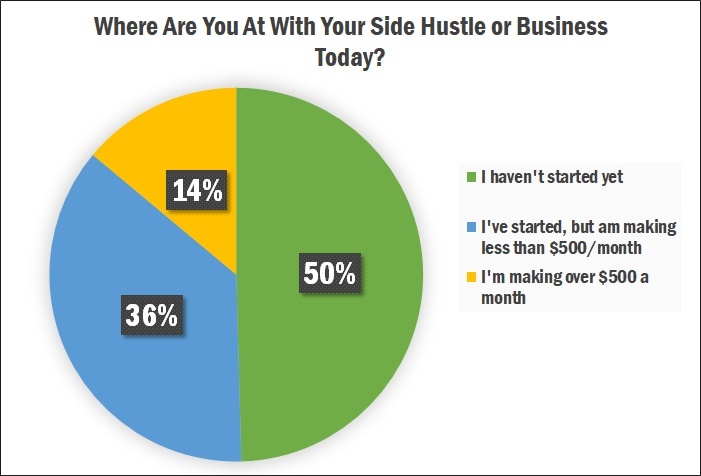 The same study reported that while only half of respondents “loved” their primary job, 76% loved their side hustle. 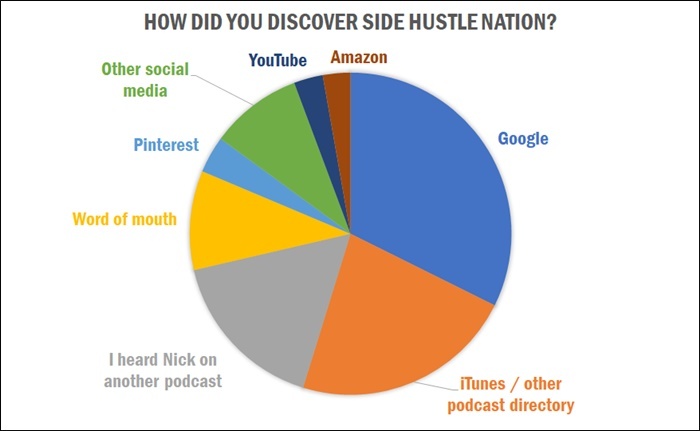 I have a few quick questions that will help guide the direction of Side Hustle Nation. Your responses help me better understand and serve you and the rest of this incredible “Nation,” plus you’ll have the option to be entered to win one of two free Side Hustle Strategy Sessions with yours truly, just for filling out the survey. The survey invitation went out to more than 65,000 subscribers and in total, I gathered more than 1600 responses! Congrats to Jeff and Jonathan for winning the random drawing for the strategy session! I’ve started, but I’m making less than $500 a month from my side hustle. I’m earning $500+ per month outside a traditional job. In previous surveys, I had a couple more granular options, but choose to simplify to just these three buckets this time around. On the one hand, it’s a little discouraging to see that half the audience hasn’t decided the best course of action yet. Just pick something, I want to yell. It doesn’t matter! Looking at it with “glass half full” eyes, it’s exciting to see that half the people have gotten off the sidelines. Of those, a majority aren’t yet earning $500 a month though. 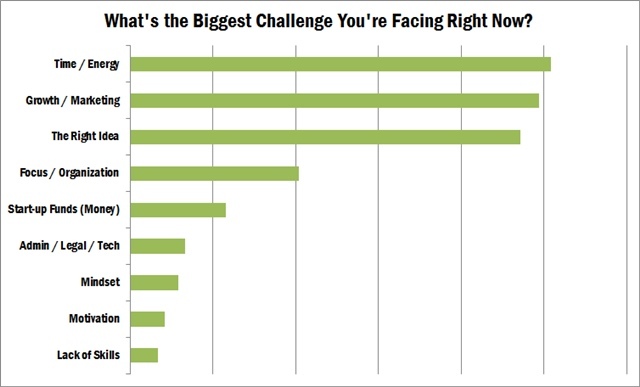 And at the top of the scale, about 14% of the audience (a little less than 1 in 6 members) is earning $500 a month or more from their business. Awesome! 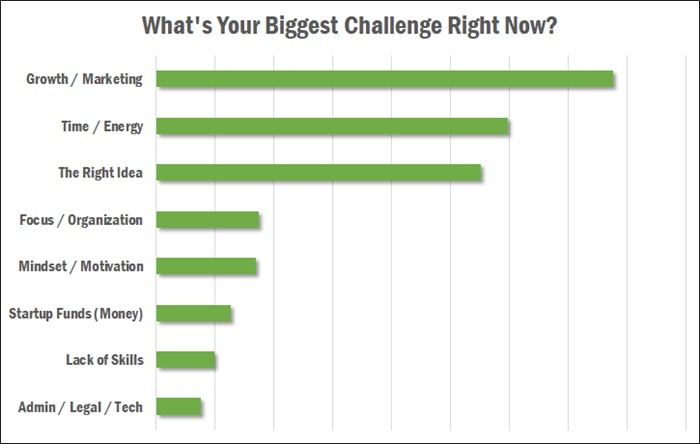 The challenge for me is to move people clockwise along this pie; to equip you with the idea, empower you to take action, and show you how to get results and grow your business. Blogging and Online Business, which included podcasting and YouTube. Freelancing and Service Businesses, which included options like becoming a loan signing agent. Amazon FBA / Ecommerce, which including other types of reselling as well. These 3 are unchanged from last year, and because of their popularity, I’ve included them in the subnavigation menu on the site. This lets people access the relevant content in these categories more easily. The good news is I love learning and writing/talking about pretty much all of these. And compared with the results from 2017 below, it’s encouraging to see a shift from the “idea” column to the “growth” column. And here’s the truth: time is a universal struggle, even for full-time entrepreneurs. There will always be more things you want to do than there are hours in the day, so it becomes a battle of prioritization. In chatting with several Side Hustle Nation members last year, I was surprised how often “mindset” came up. These were issues like fear of failure, fear of success, impostor syndrome, and other self doubts. Failure is at once inevitable and impossible. You’re certain to experience failures and setbacks, but as long as you live to learn from it, it wasn’t a true failure. Google was far and away the biggest driver here, and I’ve been paying a lot more attention to SEO lately. Some of the most frequent podcasts mentioned were the ChooseFI and Bigger Pockets Money. My phrasing: What’s your #1 side hustle or business goal for this year? 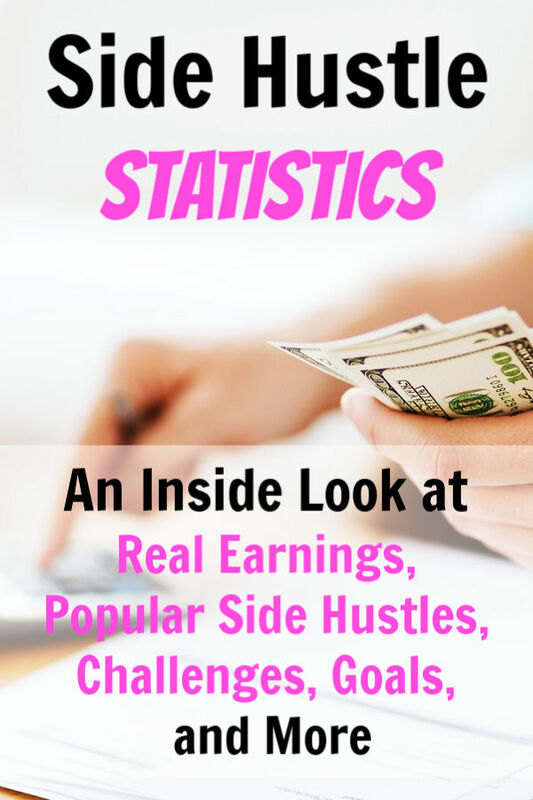 The revenue goals varied based on people’s responses to Question 1 (where they’re at currently), but for people starting out, earning an extra $500-1000 a month was a really common goal. These answers are helpful to me in crafting content that appeals to people for where they’re at in their entrepreneurial adventure. For the last couple questions of the survey, I wanted to give people a voice in improving Side Hustle Nation. How can I make it a more valuable resource? What would you like to learn more about? One thing I wish you’d cover more thoroughly is _________. Taxes, accounting, and legal stuff. … and if I’m being totally honest, one specific critique I have is _________. “Shows are too short.” (More people were actually in this column, asking for more in-depth content and even more frequent episodes). “It’s annoying to keep having to enter my email to download the PDF highlight reels.” (Agreed! Check your email for a message from with the subject line “[Save this email] Your VIP access link is inside”. Talking slower. Breathe, Nick, breathe. More frequent episodes. I’ll see what I can do. More coaching episodes or featuring people who aren’t “super successful” yet. Making stuff on the website easier to find. Not sure the best way to do this. 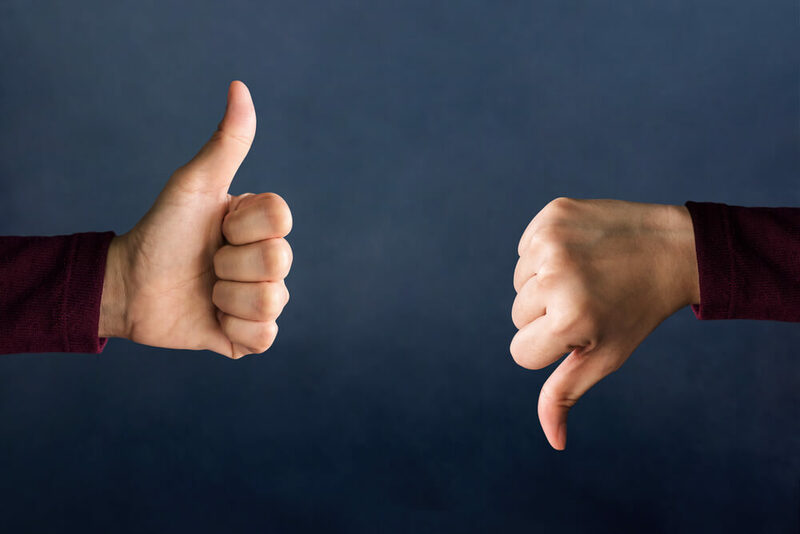 Pressing for specific details, asking people what they’d do differently, and not glossing over the negatives. Greater diversity among guests in age, race, and gender. Thanks for passing on the results, Nick. Well, you do have a search box on the blog. Maybe move it so it’s on every page? Right under the top menu on the right side would be great, and there’s room. I <3 search boxes, especially on a site like yours with so much good info. I'm sure you could find a coder on Fiverr who'd be happy to help if your theme doesn't make it easy. Thanks for that, I didn’t realize you would be sharing all the results. I hate to ask you to do more work, but one thing that would be interesting is a combination of the first 2 questions. 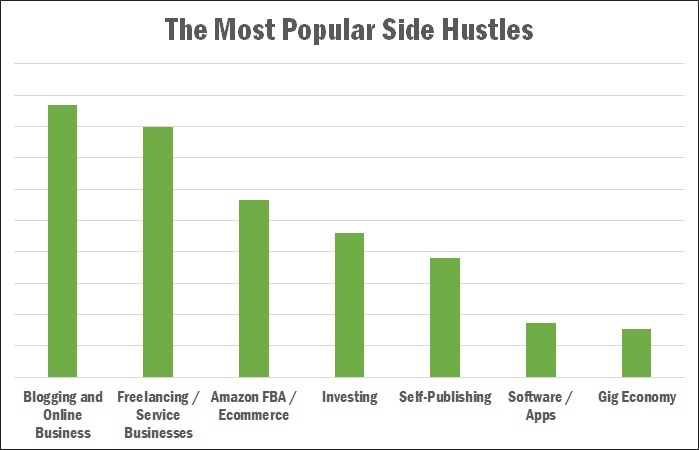 How (if at all) does the choice of side hustle relate to how far along the journey people are? Maybe this is a paralysis-by-analysis question and not actually useful, but I am firmly in the “already started” camp so not really worried about that, just curious. Even if you don’t have time for that, this was an interesting read.